The Formula D World Championship is an international series of 10 events – 7 held in the USA and 3 held in Japan, Canada, and China respectively. Currently, all drivers holding a Formula D pro license are admissible to the Formula D World Championship. ‘In order to accumulate points in the World Championship, Formula D pro drivers will have to participate in at least 1 events outside of the US (Japan, Canada, or China),’ explains Jim Liaw, president and co-founder of Formula Drift. Also, the winning drivers of a World Championship round, as well as the top 8 drivers in the general class following the Canadian round will have their transportation fees to the final World Championship round in China in November 2015 covered by the Formula D organisation. It is during this event that the champion will be crowned. The victor of the World Championship series, the winner of each championship round, and the ‘Triple Crown’ trophy recipient will share a prize total of $300 000. 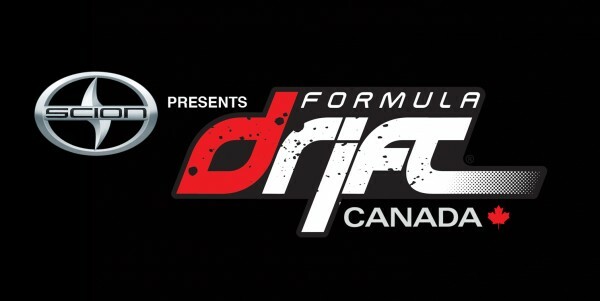 ‘The inauguration of Formula D Canada with a World Championship round held on Canadian soil represents a whole new step in the evolution of drift in Canada. This expansion is only possible due to the passion Quebecers and Canadians hold for the sport,’ – Ben Woo, vice-president of sales and marketing for Formula D Canada. Scion Canada has been supporting Formula D Canada since its inception in 2014 and has become its main sponsor in 2015. Scion Canada also supports drift pilot Pat Cyr and his Scion FR-S. In 2015, his race car will be receiving a brand new 2JZ-GTE engine capable of 1000 horse power. It also possesses a Wisefab made exclusively for the FR-S which produces an exceptional power and direction.